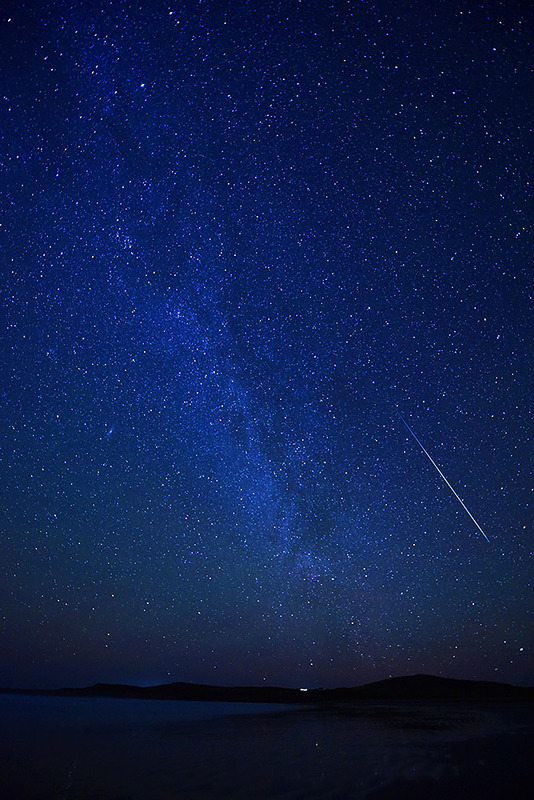 It took quite a few attempts to get this one, a meteor from the Leonids meteor shower over Machir Bay on the west coast of Islay. It was a really bright flash shooting across the sky, only lasting less than a second, yet very impressive. You can also make out the Milky Way stretching from the top left to the bottom right of the view. The view is north along Kilchoman beach, the flat bright spot on the flat hill section is Coull Farm. To the right Cnoc Mòr (82m). 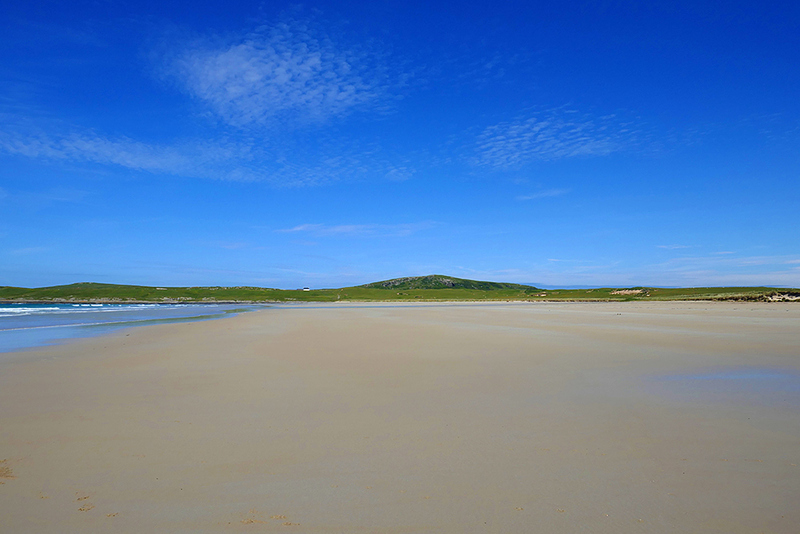 A view north on Kilchoman beach, the wide sandy beach stretching out into the distance under a blue sunny Islay sky on a beautiful June day. Coull Farm and Cnoc Mòr (82m) in the distance. 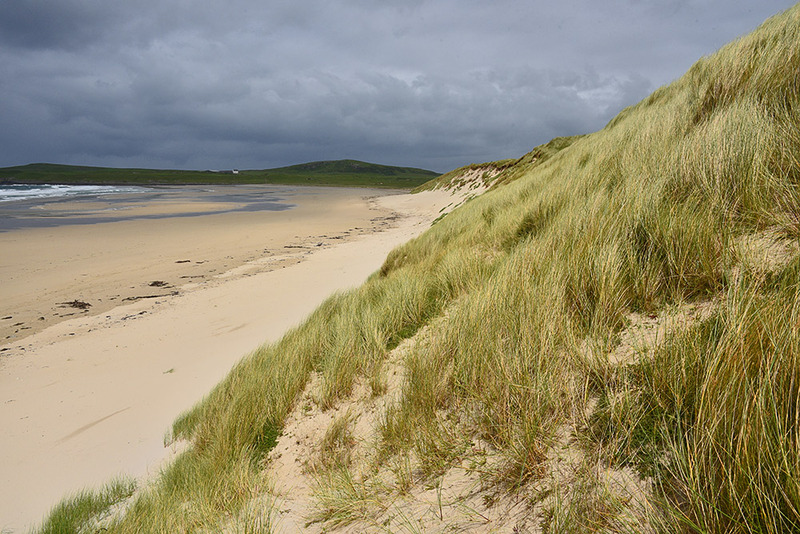 Quickly changing weather at the Kilchoman dunes in Machir Bay on the west coast of Islay. Clouds were moving past quickly with rare and short breaks in the clouds. Here a short bright moment lights up the dunes while leaving the beach and the hills in the distance under dark heavy clouds.